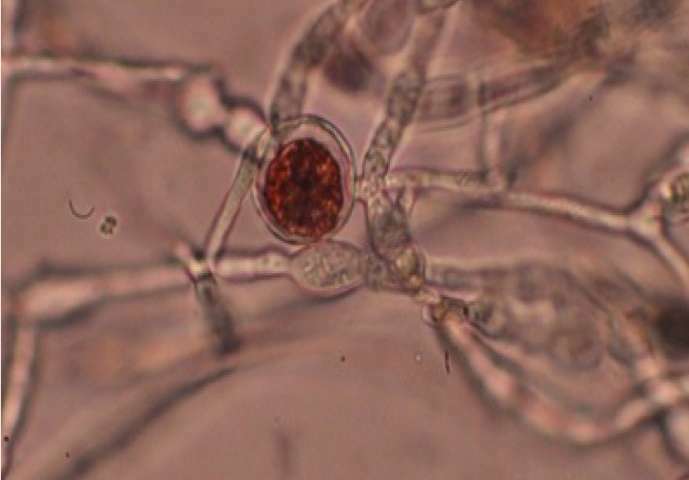 New research shows how some of these harmful microbes have to contend not just with a farmer's chemical attacks, but also with their microscopic neighbors—and themselves turn to chemical warfare to ward off threats. A good editor could have prevented a badly expressed thought from being published. The researcher is quoted as saying, "
"How these microbes interact and talk with each other is still in its infancy," Keller says. "We really don't know how they talk to each other. And that's where we want to go in our lab." This is factually incorrect. The microbes have been doing this for millions - and maybe billions - of years. What she meant was, "Research into how these microbes interact....is still in its infancy etc"